25 Gifts-Why Jesus? (Advent 2014, Day 13) | alyssa santos - rocks. roots. wings. Jesus himself was, of course, one man. He came as any prophet had: out of obscurity, preaching a message of warning and of hope to the Israelite people. His human life ended like most the other prophets: he was killed because of his message. In his brief time of ministry (a mere 3 years), Jesus began what can only be called a revolution. How? He invested in individuals and modeled a new idea: community. Community by definition is a feeling of fellowship with others, as a result of sharing common attitudes, interests, and goals. Or, a group of people connected by similar geography, background or interests. You can be in a community of bicyclists or quilters. Your hometown might be your community, or your internet friends who meet regularly to discuss the joys of raising backyard chickens. When Jesus walked the earth, many Jewish people rallied in community behind men who promised revolution. They wanted to throw off the Roman shackles and live free of Roman tyranny and taxes. They longed to be free Jews. It’s no surprise that God planned for Jesus to arrive at the time that he did for this reason alone. The oppressed people groups, Jew and Gentile alike, were desperate for some relief from the heavy hand of Rome and her taxation. And further, the Jewish folk were oppressed by their own money and power-greedy temple leaders. They were fettered to their religious practices just as they were bound by Roman control. So, consider all that and then go read the Sermon on the Mount in Matthew 5—it changes the flavor of his message, doesn’t it? Consider all that and think about the first thing Jesus did in his ministry: he formed a community. In the gospels (Matthew 4, Mark 3) we read about Jesus calling Peter, James and John, Nathanael, Matthew and the rest of the twelve. Here’s why I contend that he’s the Son of God: because the community that he formed in the dusty desert near the banks of the Sea of Galilee is the single largest community anyone can find on earth today. There were mere hundreds of thousands populating the entire globe in Jesus’ day, now there are billions. There are billions more Christians alive at this moment than there were people two-thousand years ago. And, Christians make up one-third of the world’s population. Although Jesus hasn’t been around in bodily form since 33 AD, we all gather in churches and in homes and schools and parks and find community around his name. This is something Jesus actually prayed for. Yep. I have given them the glory that you gave me, that they may be one as we are one— I in them and you in me—so that they may be brought to complete unity. Then the world will know that you sent me and have loved them even as you have loved me. 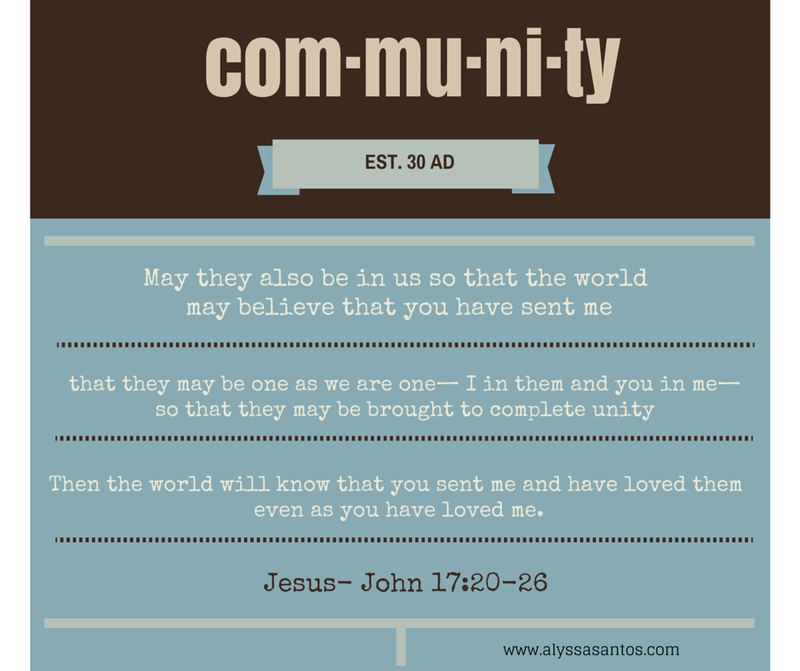 If you want, you could print this section of John or find it in your bible and underline every word or phrase that speaks to the idea of community. Also, all, one, in, given/gave, one, one, unity, with are the words I found. And his phrases are all about connectedness, togetherness, sharing, unity, mutuality. What was on Jesus’ mind and heart before his arrest? You and me and the community of billions. This community was why Jesus died. 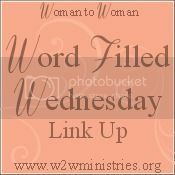 So that we could connect to one another, to him, to the Father, through the promised Holy Spirit and move in community, and in unity, forever. to let the world know that you sent me and have loved them even as you have loved me. What a community! What a goal! What a purpose! And what’s the sparkling stone at the center of that community? Love. The perfect love of God brought to completion in the imperfect community of believers. Now that is a gift worth waiting for. I love knowing you. I love knowing that you’re there and sometimes you read my words and we can through this weird thing called the internet, connect in community. I have been a church-girl for a long time and honestly, the community has hurt and confused me. Sometimes I’ve hurt others. We are each one imperfect and in-process. So, our community won’t always be ideal. But, the goal of Christ and the promise is that we will be complete one day. Until then, let’s look for opportunities to uplift one another, forgive one another and face heavenward together. The word tells us that the world will know we belong to Jesus by our love for one another — as we begin to daily look for and act upon ways to love each other well, our community will naturally, organically grow. There is one thing all human beings long for: love. Let’s be a community of loving, open-handed folks!